Jerry ponders just what has caused the Red Sox shortstop situation to remain in such fluctuation for the last eight years. I would like to believe that when the Red Sox won the 2004 World Series, not only did they free themselves from any misdeeds perpetrated in a bygone era, but also gained modicum of protection from future recurrences. I fear that this may not be the case. How else to you explain their questionable judgement and prolonged inability to find and/or keep a suitable replacement for the former Red Sox icon? 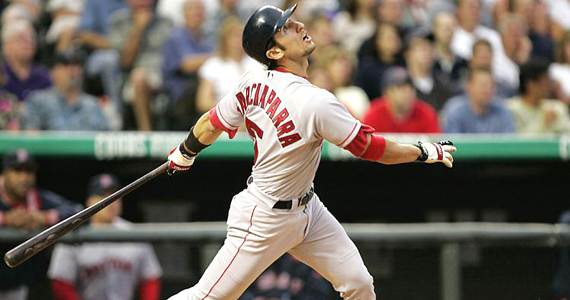 It has become apparent in the years since Theo made the bold move that shipped Nomar Garciaparra out and brought Orlando Cabrera in, that Nomar struggled with a curse of his own in the effects of his Obsessive Compulsive Disorder. He became obsessed with making “Jeter money” (about $18 million) and grew more and more unhappy in Boston. At the trade deadline in ’04, he was traded to the Cubs (talk about curses…) and never again got close to the $ 15 million or so that Boston offered him, let alone what Jeter was getting. But, although Cabrera would help bring a Championship to Boston for the first time in a number of years, his stay would be brief. One does not have to have the deducted powers of Shawn Spencer, or Sherlock Holmes for that matter, to realize that, when a player of that caliber is on seven different teams in seven years, there likely exists a fatal character flaw. When a flaw is significant enough that media types won’t even hint at it, then you know it’s serious. So despite hitting .284 in 58 games for the Sox, and playing a strong shortstop, Orlando was gone and Édgar Rentería was in. Ironically enough, Rentería, who wore the number 3, had made the final out for the St. Louis Cardinals in game four of the World Series. Although on paper this seemed like a solid move, it didn’t work out, and Edgar was a “one-and-done”. Apparently his former manager, Tony La Russa knew what he was talking about when he said that Edgar was not a “big market” guy. 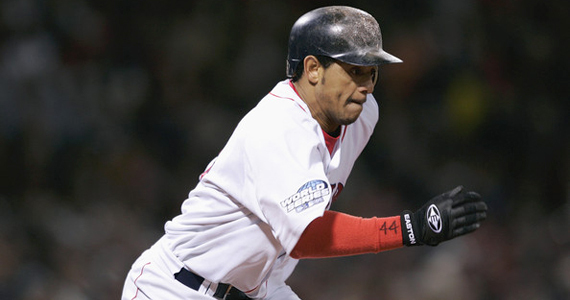 So in 2007, Theo continued his search for a power hitting shortstop, and went out and signed Julio Lugo. Although the Sox were once again World Series Champions, no one gave Lugo much of the credit for the victory. Julio hit a mere .237 that year, and despite hitting 15 homers one year in Tampa Bay, hit only 10 in his three rather injury plagued years in Boston. Now here we are, on the eve of the 2012 season, and the Red Sox, despite the departure of Prince Theo, are still involved in strange shortstop games. Mike Aviles is a very nice addition to the Sox roster as a utility man with a decent bat, but if he wasn’t good enough for Kansas City, could he possibly be right for Boston? I have to believe that there is enough of last year’s potent offense left that they could afford to put up with one hole in the lineup in exchange for the strong defense of José Iglesias. I expect that it won’t be long before the Red Sox brass agrees.